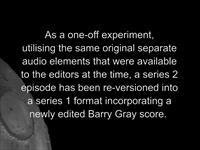 As a one-off experiment, utilising the same original separate audio elements that were available to the editors at the time, a series 2 episode has been re-versioned into a series 1 format incorporating a newly edited Barry Gray score. 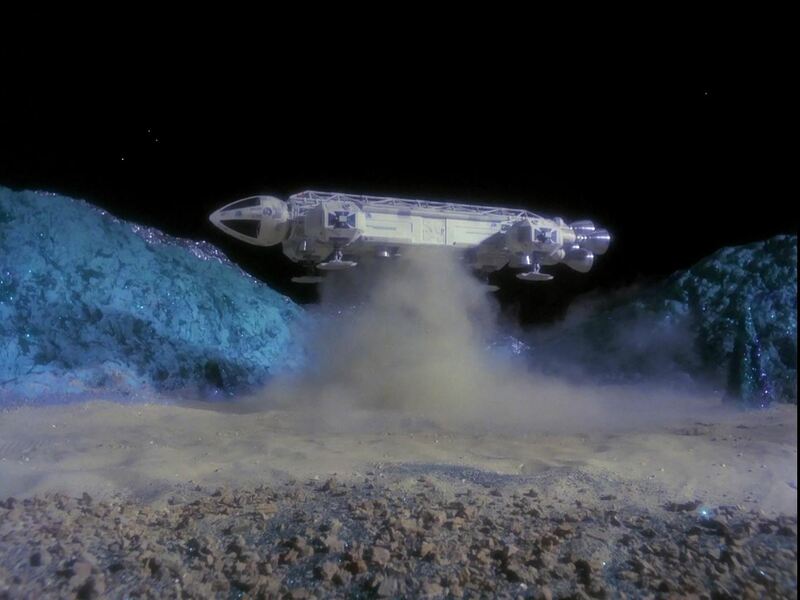 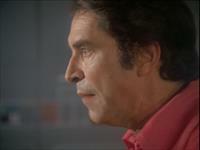 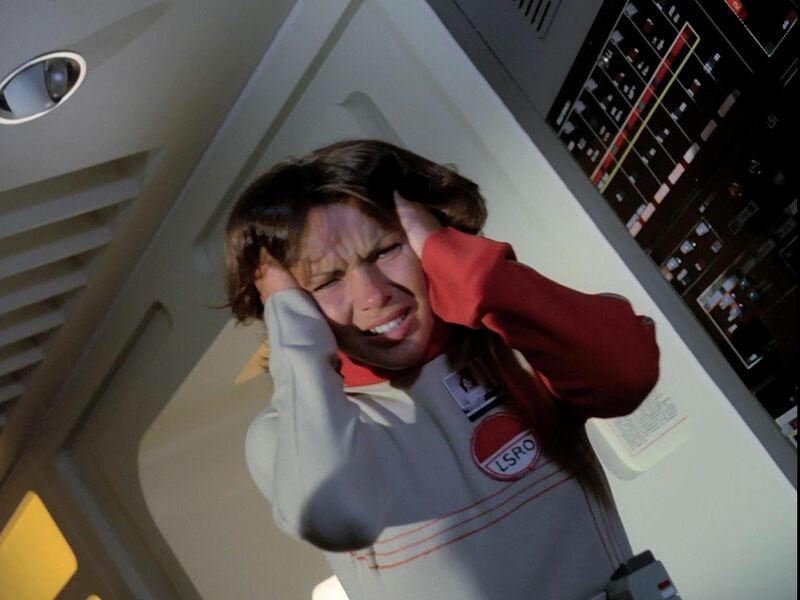 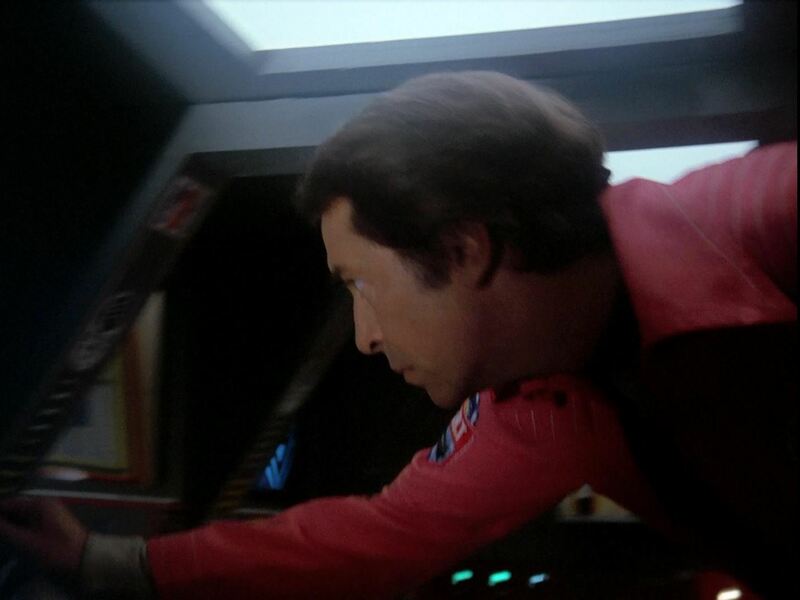 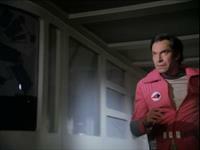 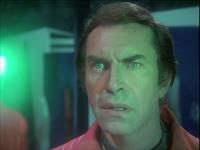 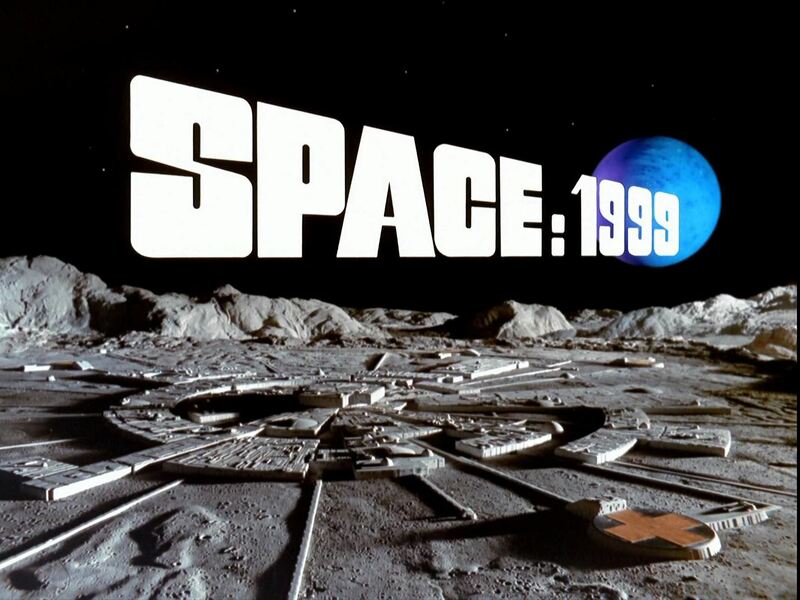 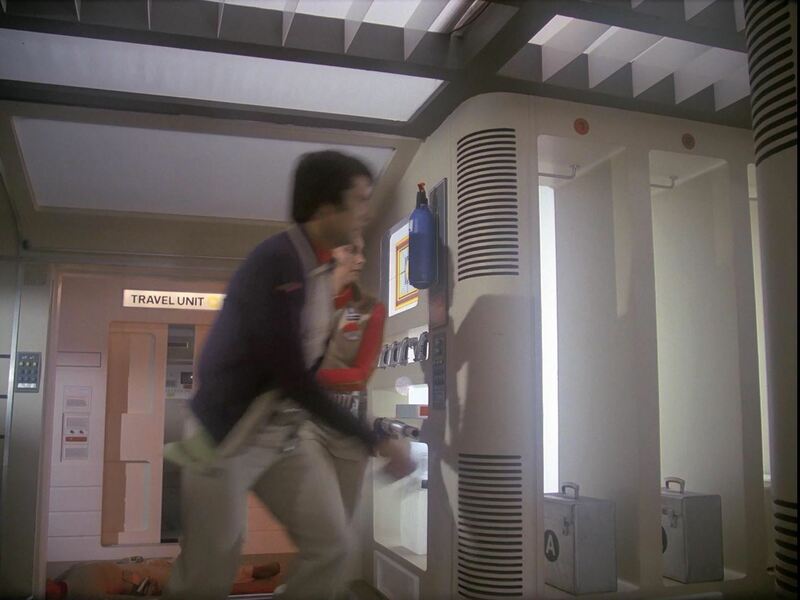 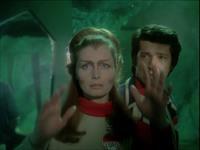 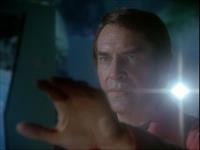 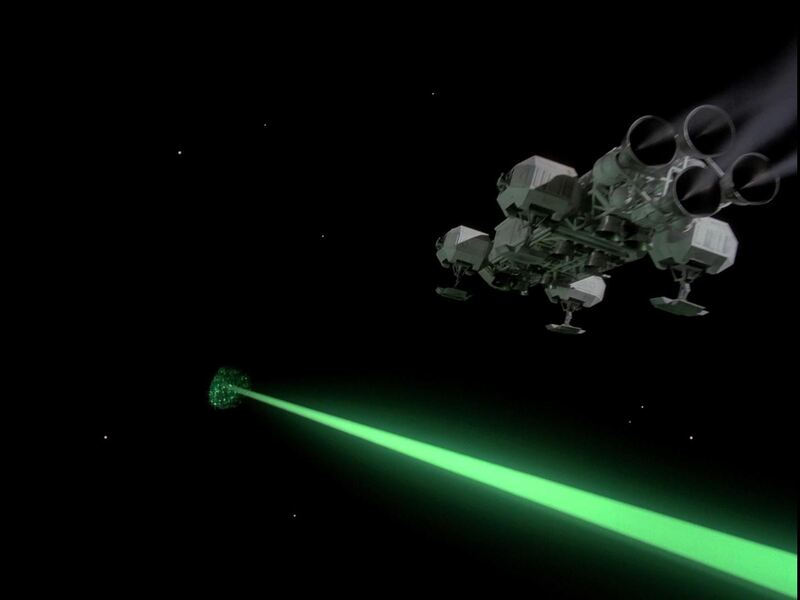 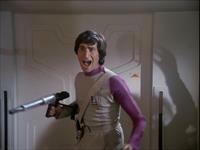 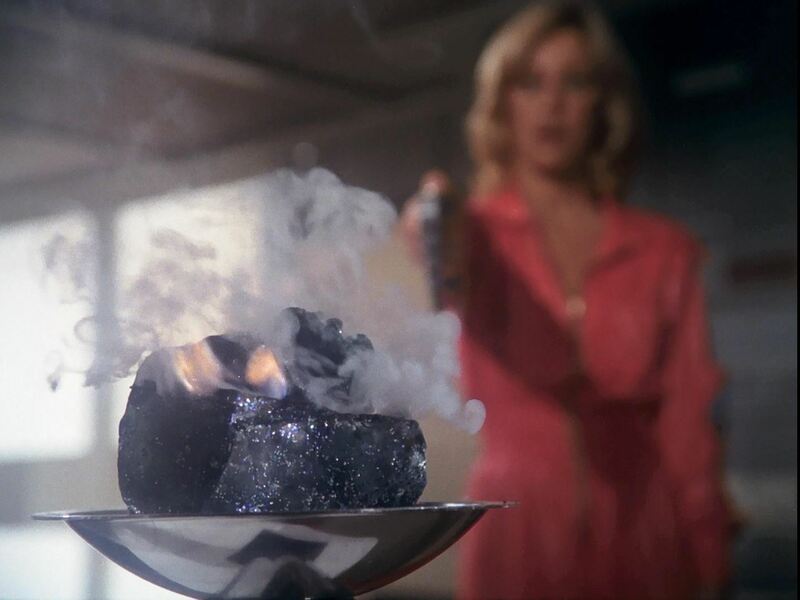 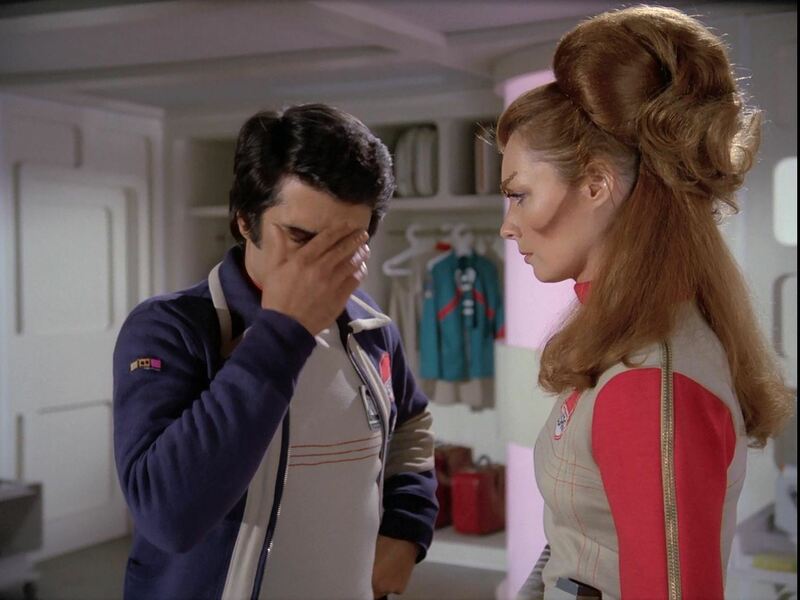 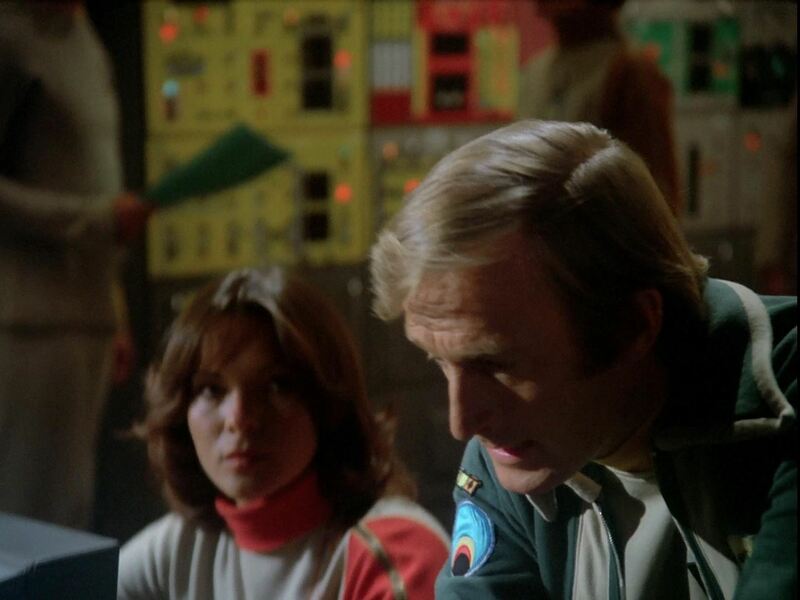 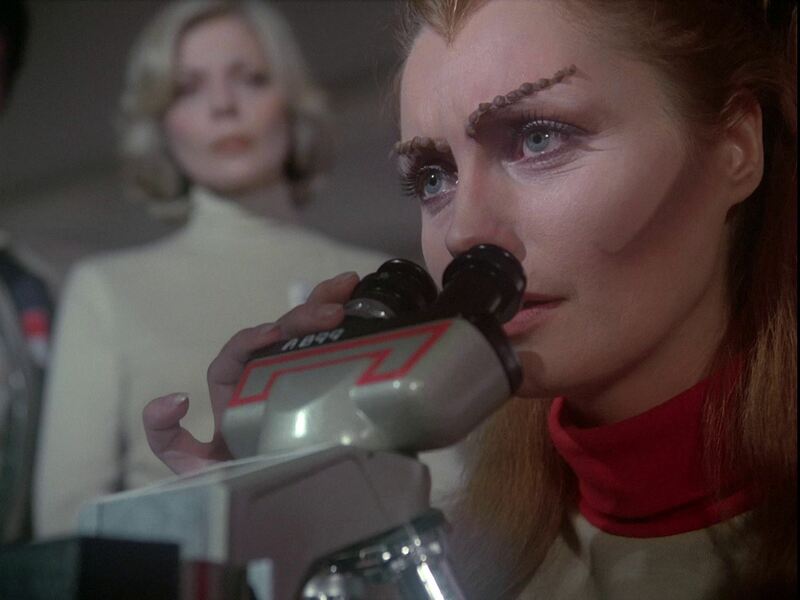 While BBC Resources was remastering the High Definition episodes of Space: 1999 Year 2 for the Network Blu-ray release in 2015, one episode was selected to be re-edited into a "Year 1" format. 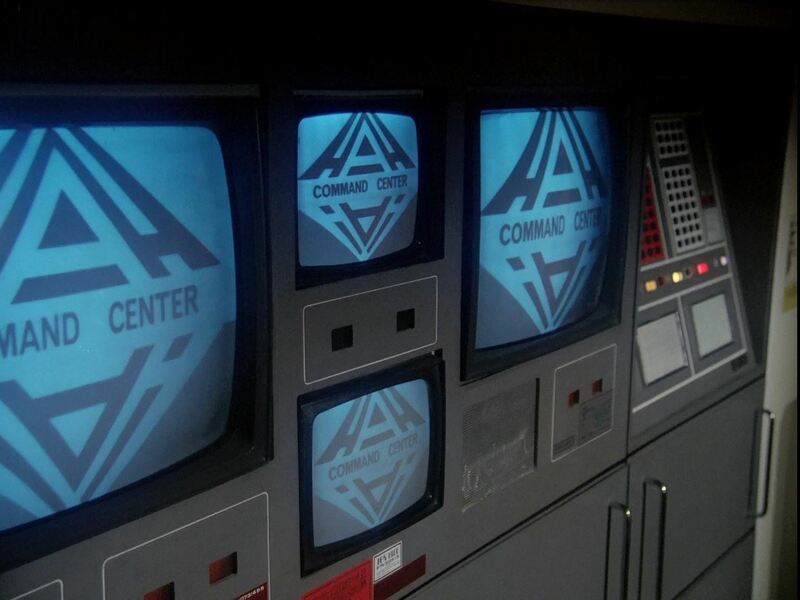 The episode was first shown at the Andercon 2015 convention in Leicester, UK, at 9:15pm Saturday 13th June 2015. It was on disc 5 of the Blu-ray set, released on 28 September 2015. 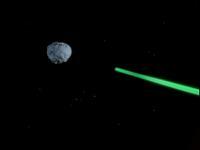 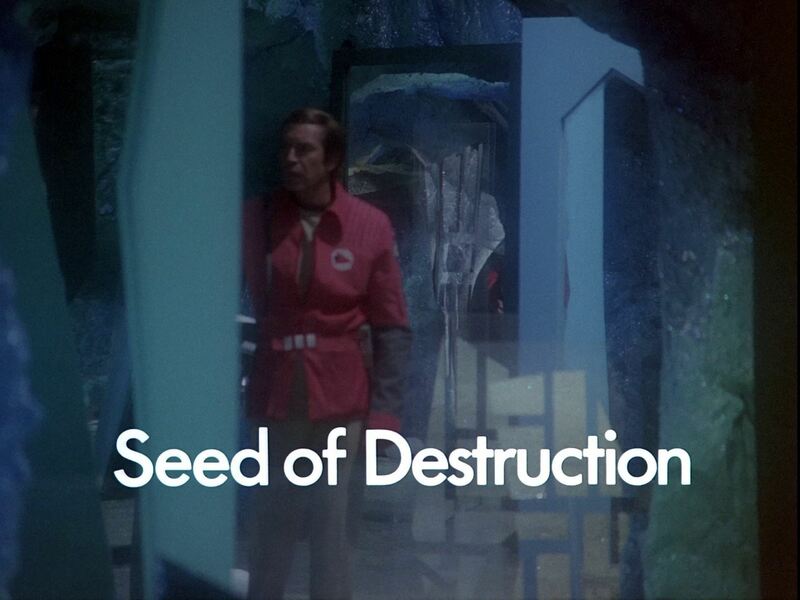 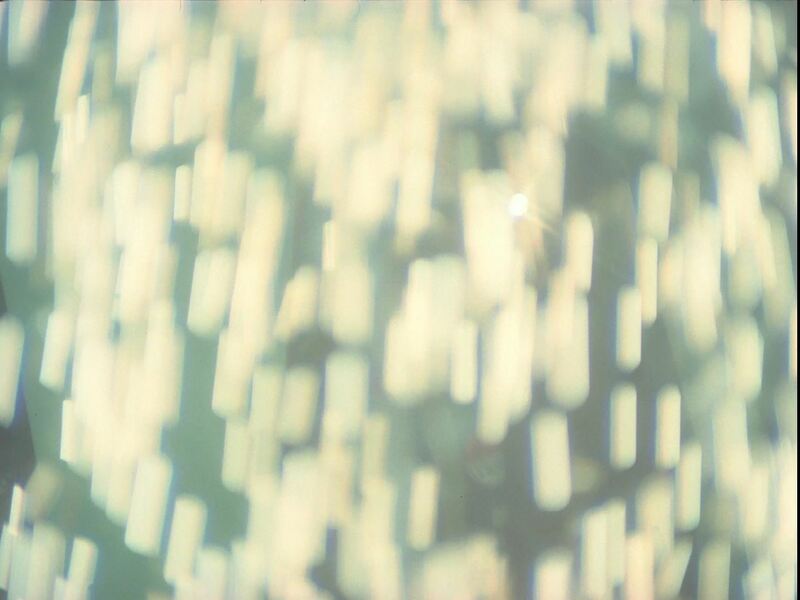 The episode selected was Seed Of Destruction. In story and feel it is not the closest episode to year 1 that could have been picked. 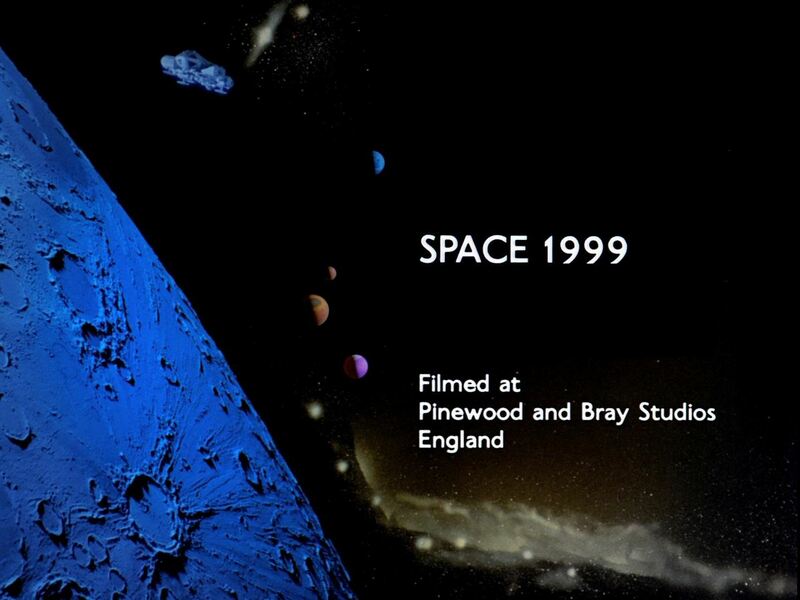 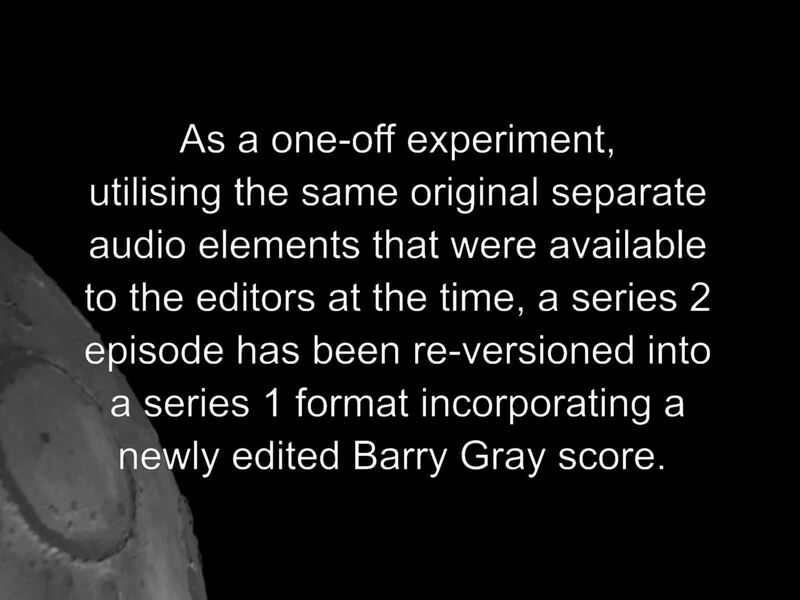 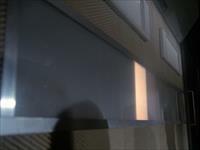 The "re-versioning", by Jonathan Wood of BBC Resources, consists of changing replacing the Derek Wadsworth incidental score with a Barry Gray incidental score, and creating a new title sequence based on year 1 (moved from the start of the episode to after the hook). 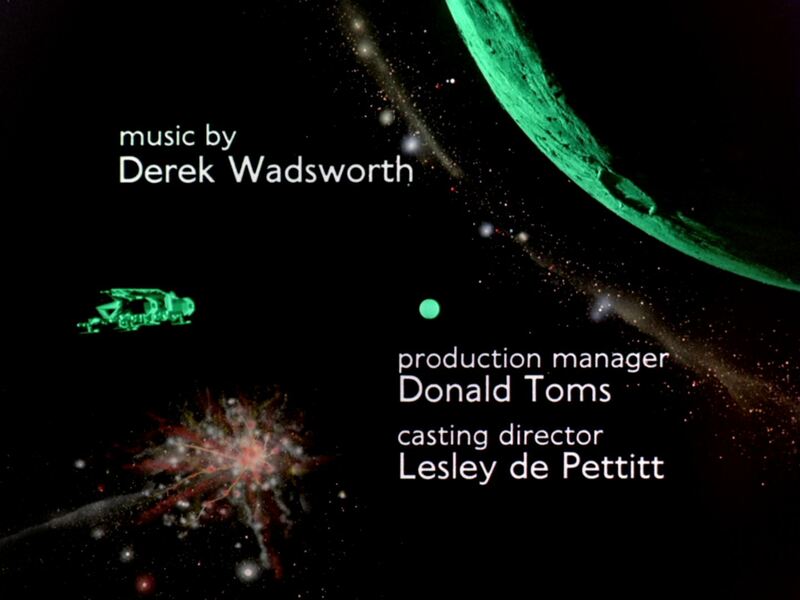 The incidental music is now entirely by Barry Gray, not Derek Wadsworth. 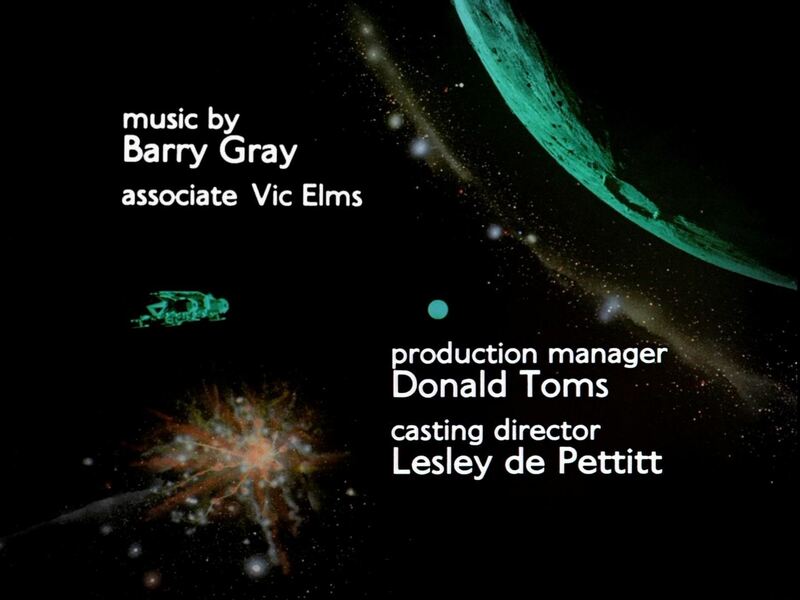 It slightly changes the atmosphere of the episode, although some of the replacement Barry Gray tracks could have been better picked. 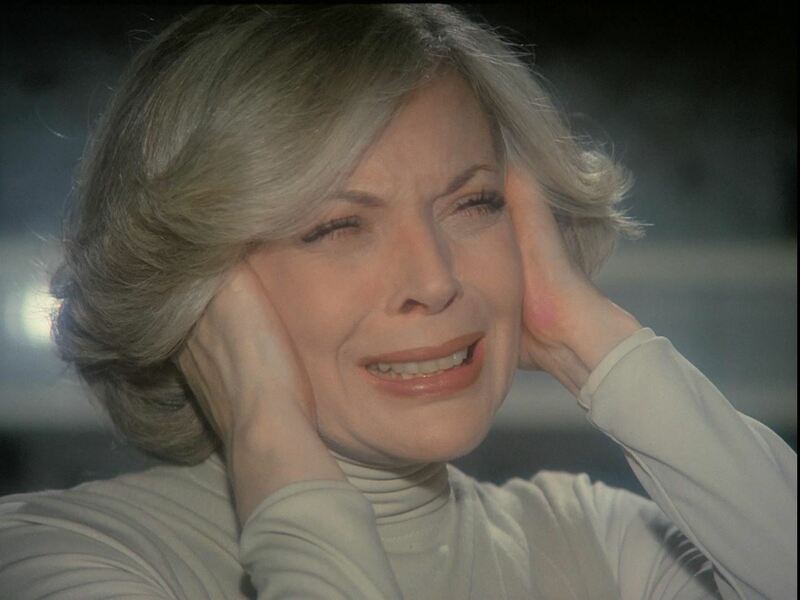 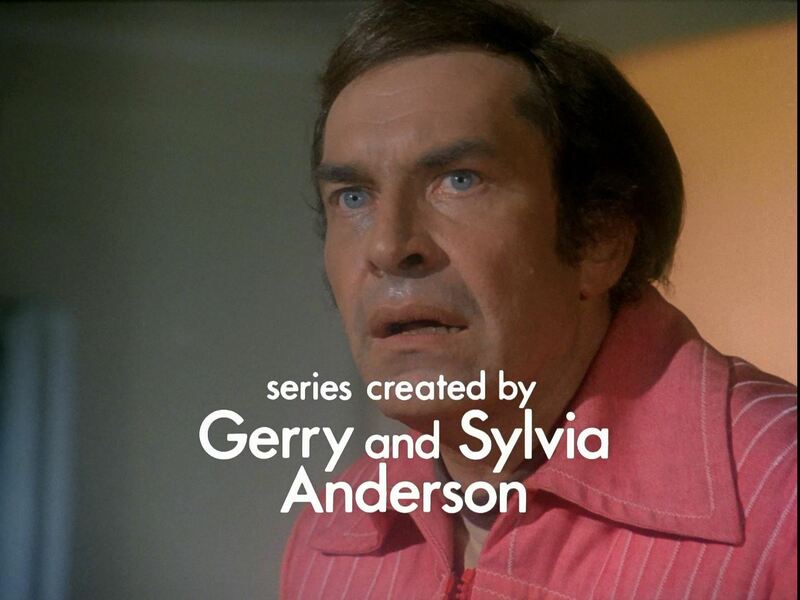 Wadsworth's score for the original episode (or, specifically, the music editing of Alan Willis using existing Wadsworth scores) doesn't have any particularly poor moments. As there are no other changes to the editing or sound effects, the net effect is neutral. 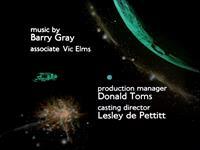 Space Brain still felt like a year 1 episode with a Holst library score instead of Barry Gray. 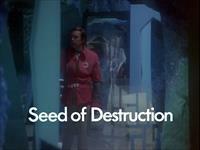 Seed Of Destruction still feels like a Year 2 episode. The opening Landau/Bain/series title/ crashing Eagle are the standard Year 1 elements. 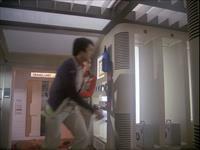 Unfortunately, the year 1 uniforms no longer fit. 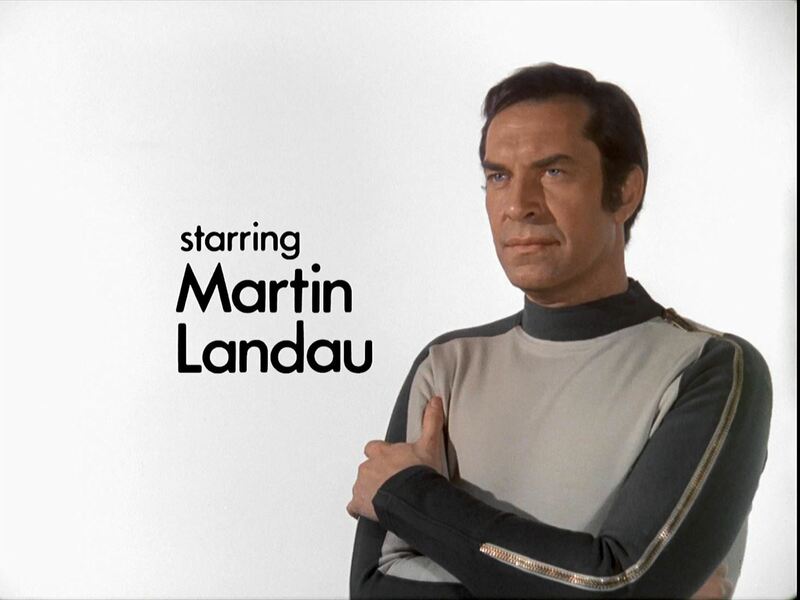 It would have been better to extract Landau and Bain from a year 2 episode (or even publicity still) against the standard white/ black backgrounds. 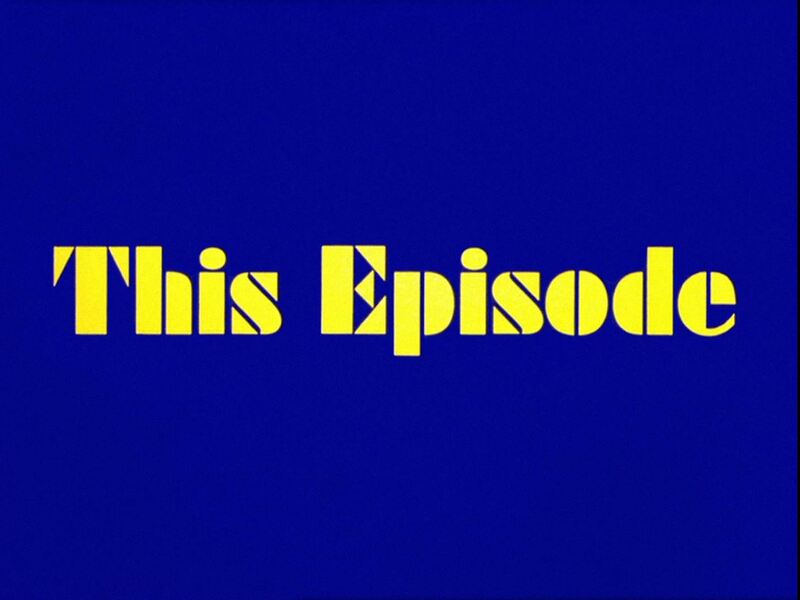 The "This Episode" sequence is a well edited selection of episode shots. 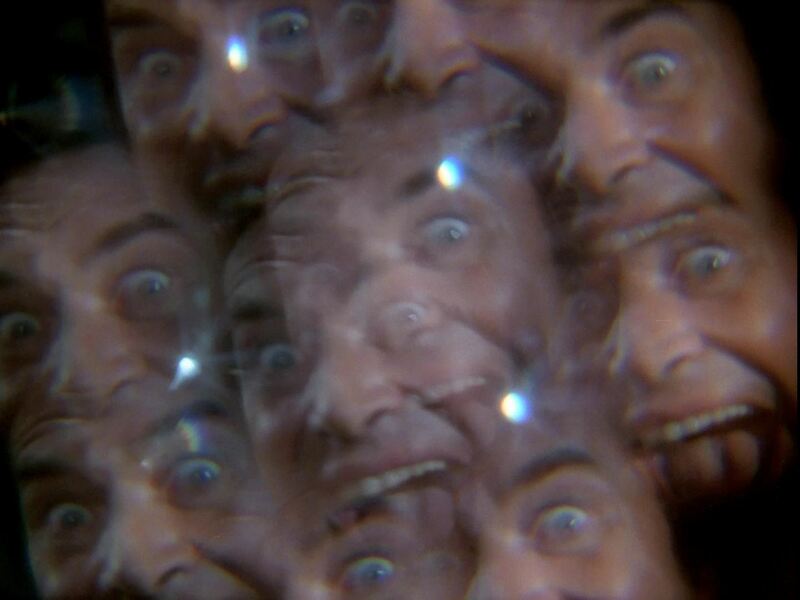 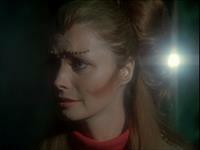 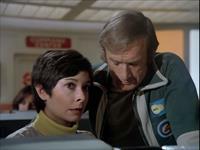 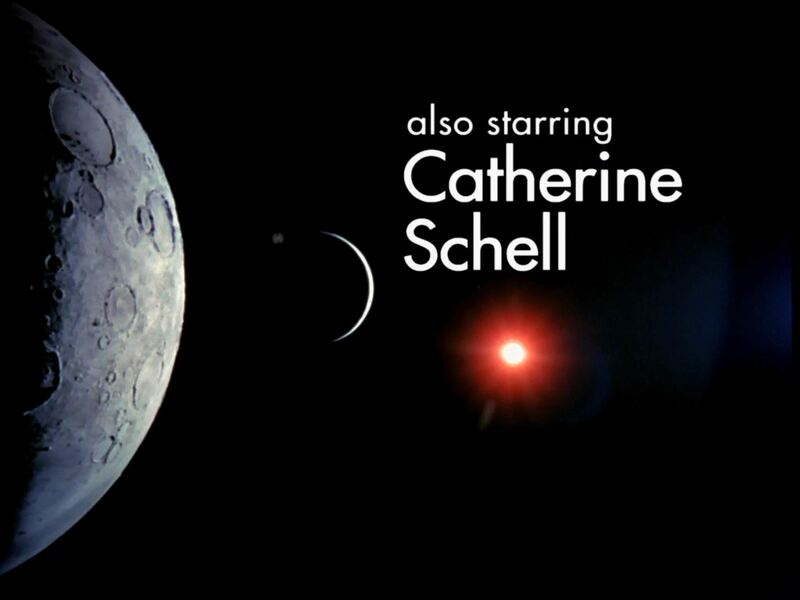 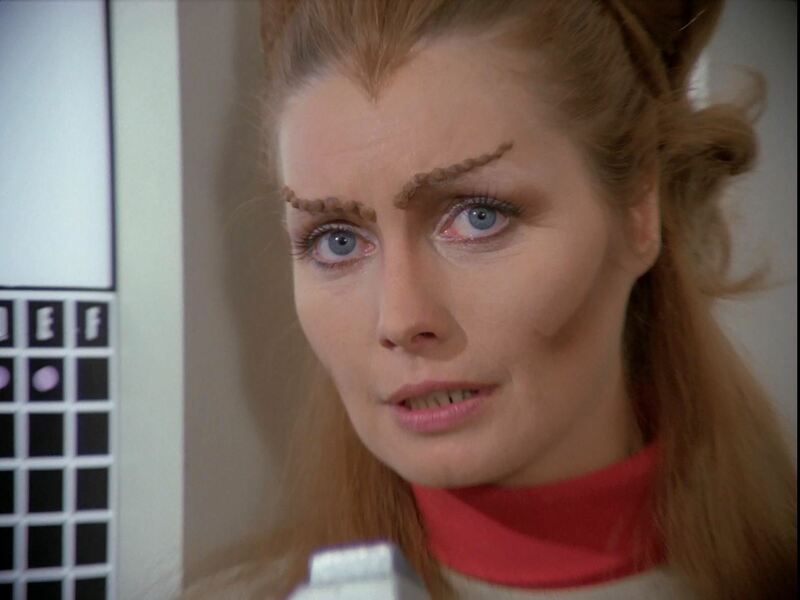 The Catherine Schell credit is the same as the Barry Morse credit from the first 4 episodes of Year 1. 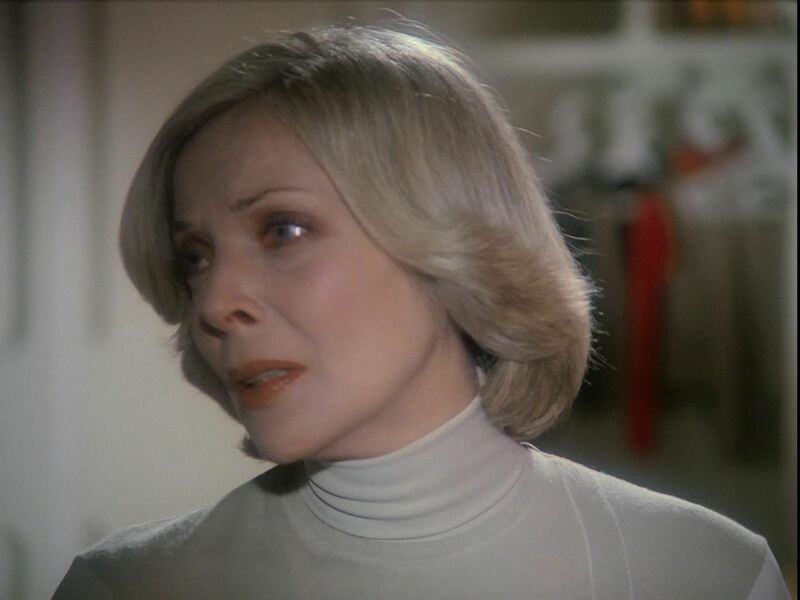 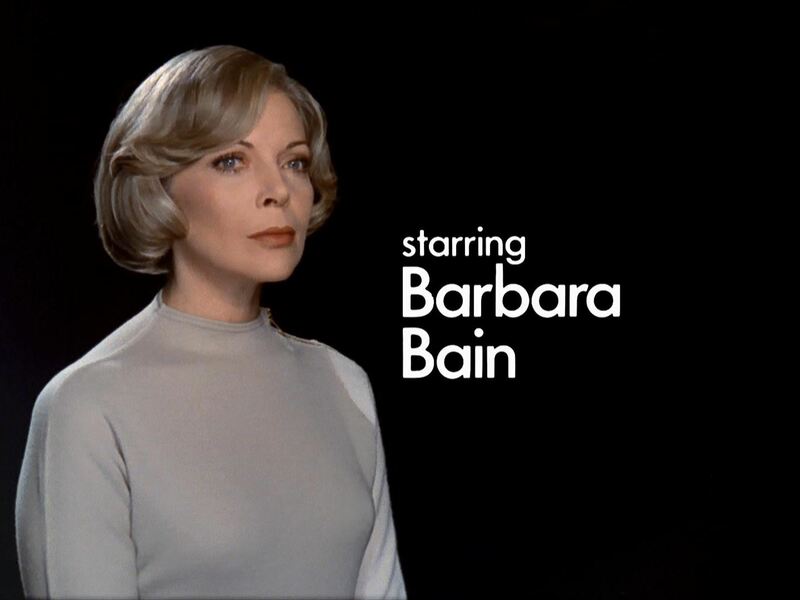 If Barbara Bain is removed, this shot from Seed Of Destruction may have been a better choice, analogous to the familiar Barry Morse shot. 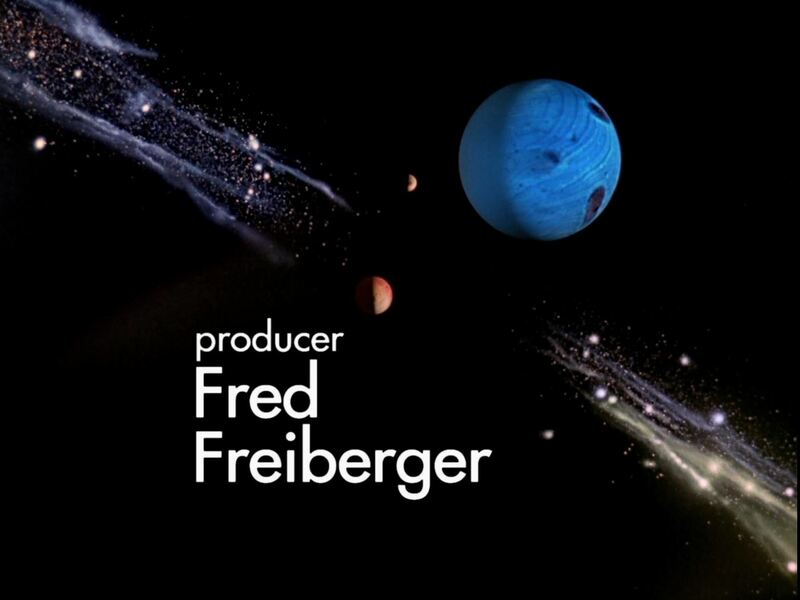 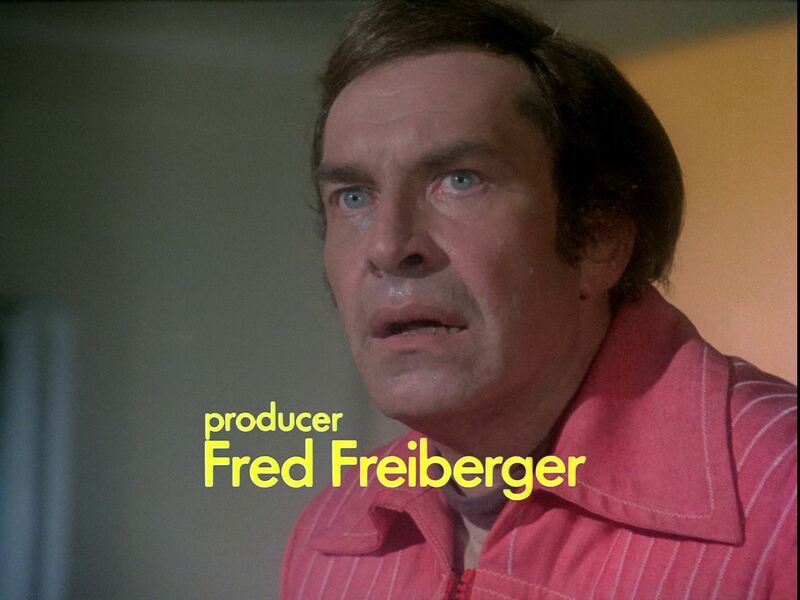 The producer Sylvia Anderson credit is a Fred Freiberger credit here (in the real Year 2 credits, he is credited on the final freeze-frame, not in the title sequence). The "executive producer Gerry Anderson" becomes "a Gerry Anderson production". 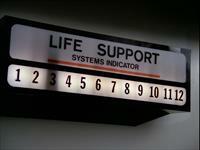 The September 13 1999 sequence from the Year 1 titles is unchanged. 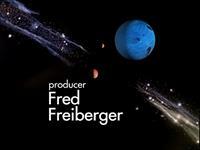 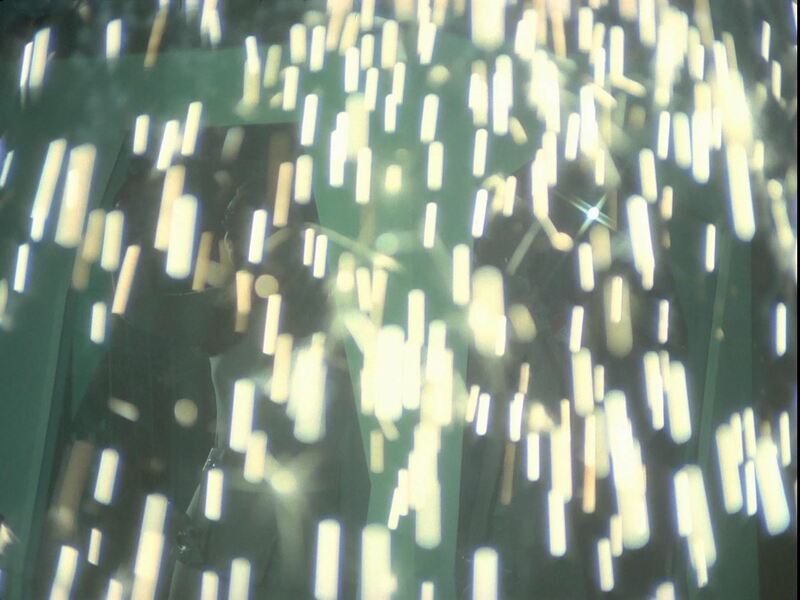 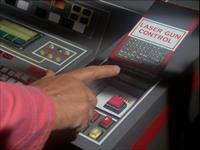 The final freeze frame in original form ("producer Fred Freiberger") and re-versioned form ("series created by Gerry and Sylvia Anderson"). Original and re-versioned credits. 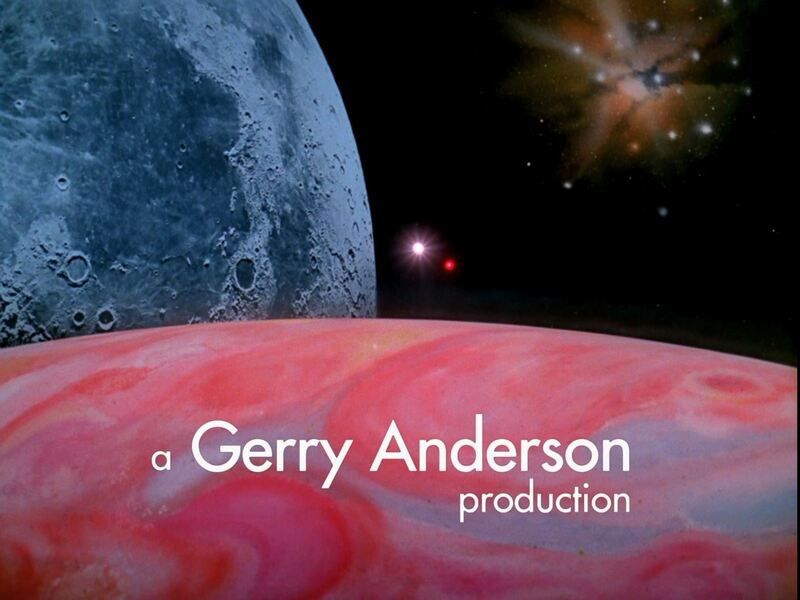 The Derek Wadsworth credit is changed to Barry Gray (and Alan Willis added). 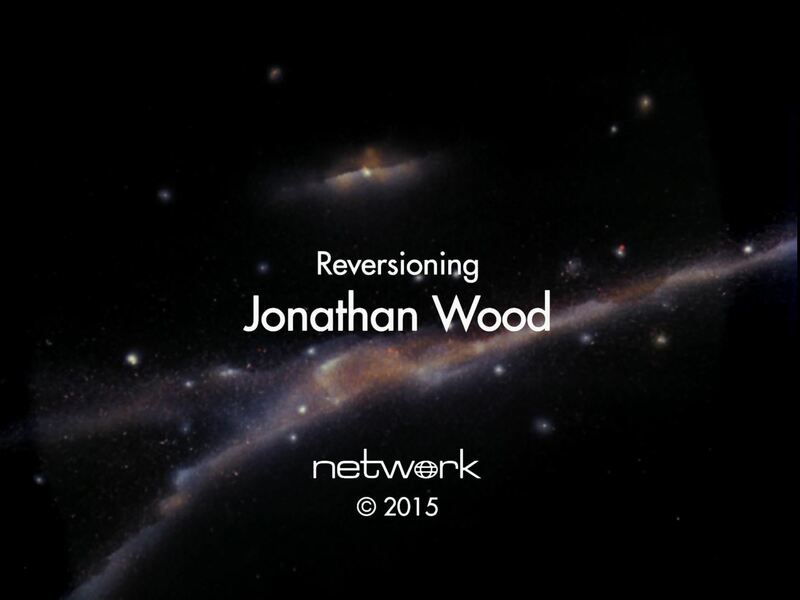 Original and re-versioned credits. 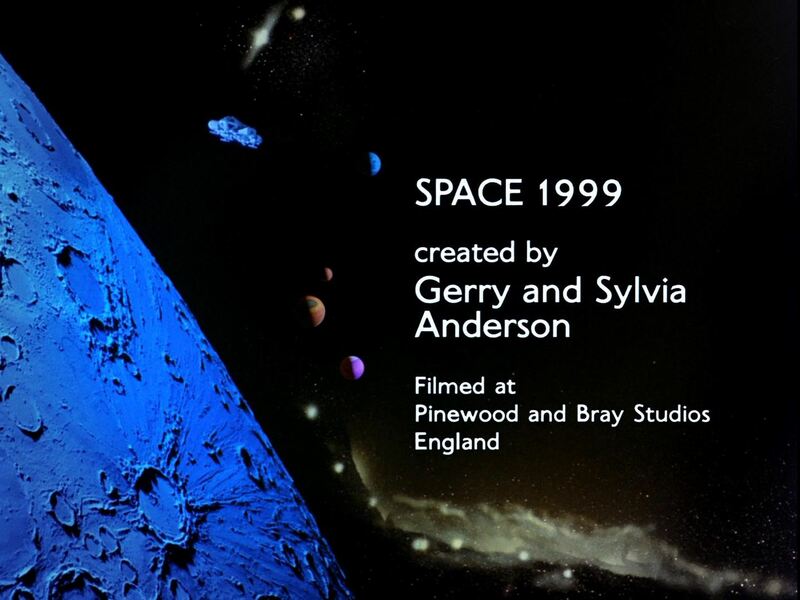 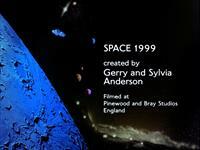 The last shot is changed to remove the "created by Gerry and Sylvia Anderson" credit (which now appears in the freeze frame). 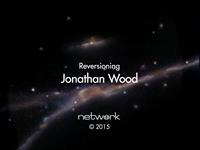 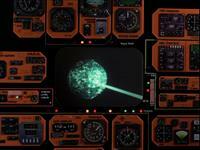 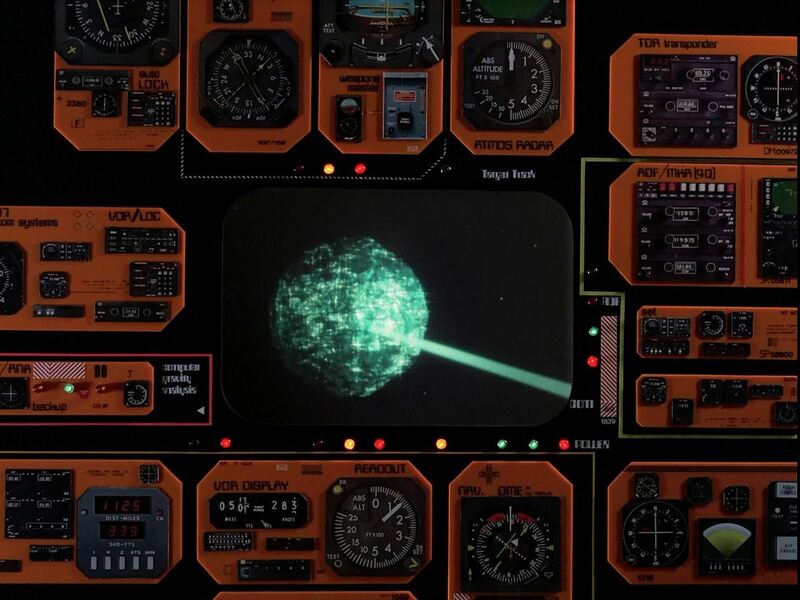 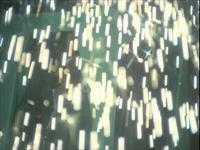 A final "reversioning" credit shot is added. 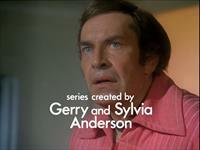 The year 1 re-versioning of this episode sounds like an interesting idea, but the result is underwhelming. Technically it's fine, but it doesn't feel anything like a year 1 episode. 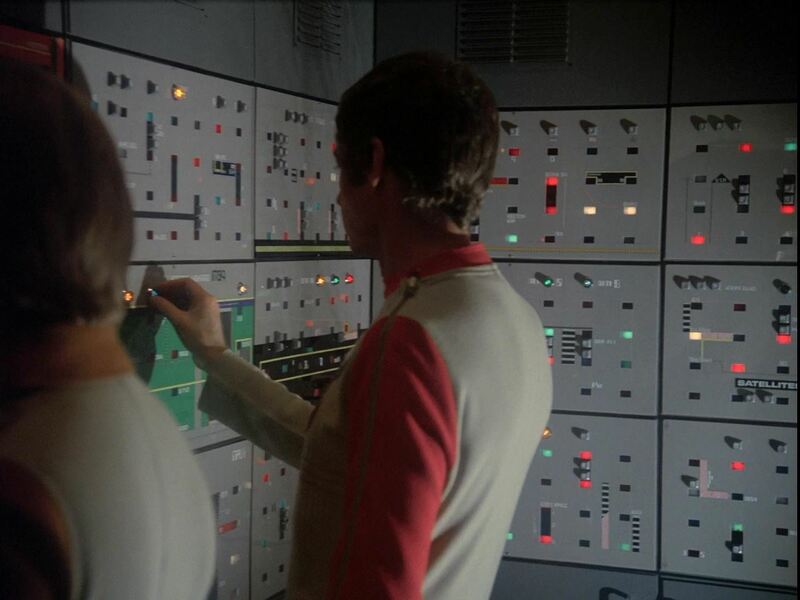 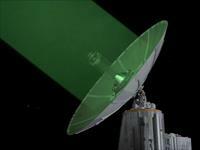 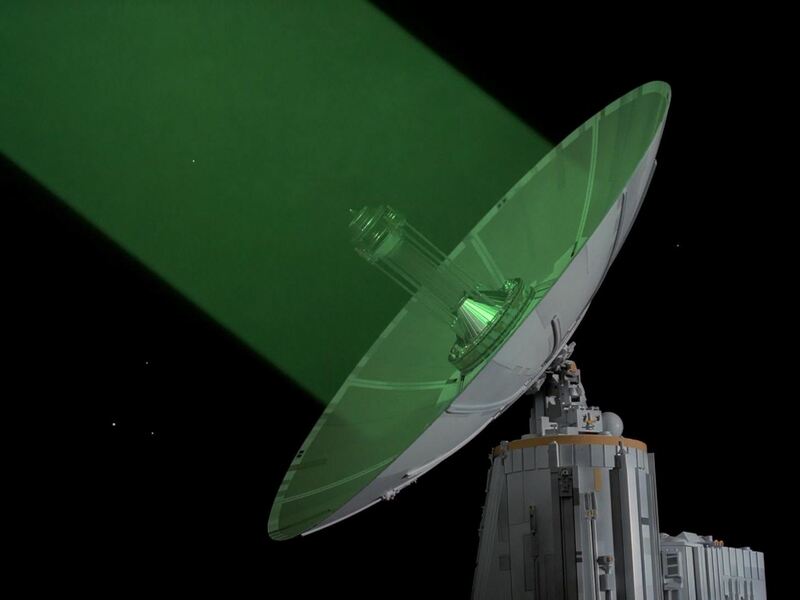 To make it really worthwhile, Network would have had to be much more ambitious. 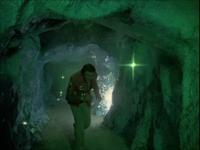 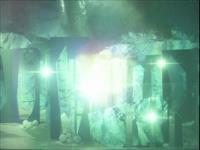 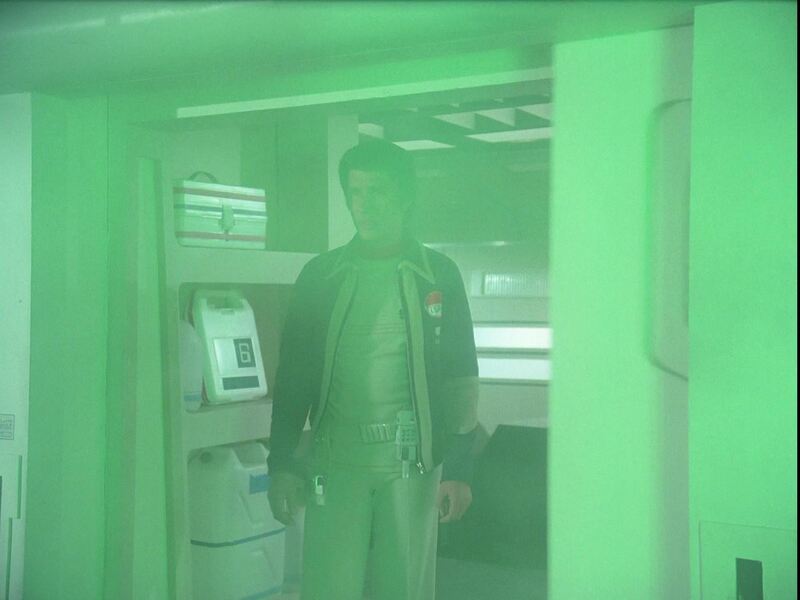 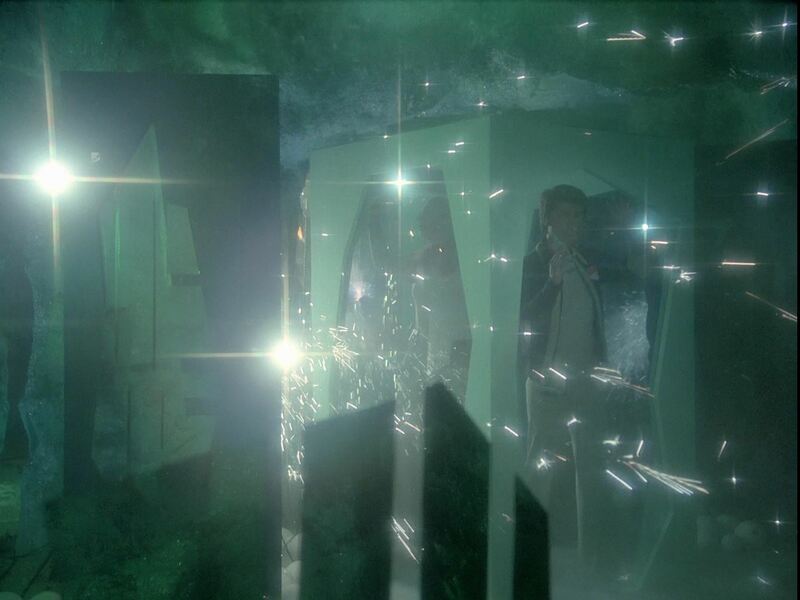 The episode could have been re-edited, sound effects and even dialogue changed, new special effects added. 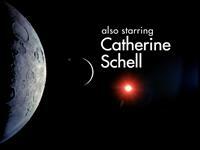 It still wouldn't have felt much like a year 1 episode, but it would have been worth more than a single viewing.